Sale’s Hire Somerset West and its staff welcomes you. With years of experience in the building and renovating industry our staff are there to assist you with any of your jobs no matter how small, whether its pruning of trees, casting a concrete slab or even accessing tall buildings, we have all the tools and equipment you require. 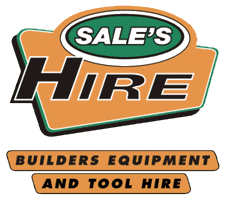 For more information regarding our range of products please link onto our “Equipment Hire” link above or visit us at one of our branches in the Helderberg. We look forward in meeting you.